One Arm Bandits | Win the Jackpot Today! Welcome to onearmbandits.co.uk, your resource for information and tips on the world's favorite gaming machine. 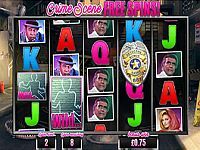 Whether your interests lie in online gaming, the history of fruit machines or you're simply an old-hand at 'the slots', you'll find here a wealth of facts and tips to help stack the odds in your favor! On this page, we'll look at the history of one arm bandits, the principles they work under and if there's a way to get the edge and increase your chances of hitting the jackpot. First, however, take a moment to consider what you really know about one armed bandits. For many people, their first exposure to these icons of twentieth century gaming was during early childhood, during a visit to the seaside or a local amusement arcade. It's likely that most visitors to OneArmBandit.com would be hard-placed to remember a time when they weren't aware of such machines, with their twinkling lights that have such a primal attraction for both the young and old. In later life, most people will have tried a small wager (or two) on 'the slots', whether in a local bar or during a visit to the casino. Pubs, clubs and bookies all over the world reserve space for their customers' other favorite flutter, with the jingle and clatter of coins and reels adding to the general hubbub of conversation and laughter. One arm bandits as we know them nowadays were invented in California at the end of the nineteenth century and soon became commonplace across the whole of the USA. From their inception, slot machines and their association with gambling (however slight) caused concern to the more stentorian sections of the press and morally-crusading members of the public. As the twentieth century progressed, negative press coverage about a range of perceived moral lapses in society led many local authorities to express discontent at this new technology, seeing it as a threat to the wellbeing of the nation's youth. As an aside, visitors to OneArmBandit.com may notice in today's news coverage regarding computer games and online betting that some things seem never to change. The moral backlash against licentiousness in all its forms led, in 1920, to the introduction of prohibition. Rather than kill off the fruit machine as a form of entertainment, prohibition simply forced the gaming industry, along with many others, underground. Today, gaming regulations of one form or another are still in place in most countries of the world, but - thankfully for websites such as One Armed Bandits – modern restrictions are far more measured. With the introduction of microcomputer technology to gaming during the late seventies and eighties, amusement arcades and casinos began to ring to the sound of novel one armed bandits, with different levels of complexity and vastly-differing payouts. A major development in modern casino gaming has been the concept of 'progressive jackpots', whereby fruit machines (as well as other gaming systems such as video poker and blackjack) are linked together via a secure computer network that connects casinos in different places – sometimes even different cities. 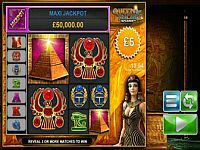 In this way, the major casinos of big gambling cities like Las Vegas, Reno and Lake Tahoe are now able to tempt punters with the lure of cash payouts that their gaming forefathers could only have dreamed about. 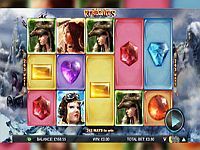 It is not uncommon nowadays for a leading gaming floor to host slot machines on which it is possible to win jackpots in excess of ten million dollars. Of course, wherever there's a game to be played and a bet to be placed, there will be someone who claims to know 'a system' to put the odds in your favor. We bet that every visitor to OneArmBandit.com has seen someone pumping coins endlessly into the same fruit machine in the earnest belief that they 'know the machine' and that it's just about to pay out. The unglamorous truth is that there is no reliable system that will consistently beat the preset odds in a modern-day slot machine. If there were, you can bet the owner of the machine would have it pulled from the gaming floor in short order! The payout odds for slot machines in modern casinos are usually set by local statute, and in most cases return to the punter anything between eighty and ninety-five percent of money deposited. One must remember, however, that the primary reason for the existence of one-arm bandits and slot machines of all varieties is their unerring ability to make money for their owners. Some of the earliest, purely-mechanical kind of one-arm bandit are in museums, but are still fully-functional well over a century later. Whether today's modern equivalents will fare so well, remains to be seen. As visitors to OneArmBandit.com who may have invested hundreds in expensive computer equipment will know, obsolescence is always just around the corner for modern technology. One of the most forlorn sights that one can witness is to see old, neglected one arm bandits slouching in the corner of dusty bars, their marquees nicotine-stained and ailing back-lights lowering feebly. For abandoned fruit machines, however, there may be a ray of hope. Since the advent of the internet, many enthusiast groups have sprung up, dedicated to the rescue and refurbishment of old video games, slot machines and one-arm bandits. Some of these collectors have picked up a gaming machine that was otherwise destined for scrap only to discover that it is a rarity. Who knows? Maybe that sulking one-arm bandit that sits in the corner of your favoured haunt may hold more value than merely the contents of its coin hopper.